Ever wondered how the startup world really works? Are you dying to know who the key players are in this mystical world? Do you lie awake at night cursing the sky hoping your anguish will penetrate the darkness and send you some answers? The idea of a startup ecosystem is actually quite simple. There are 13 key players. Yep, it only takes 13 people to make a startup work. These fearless men and women venture out into dangerous seas braving the predators while eyeing out their prey. The team at udemy, a company whose aim is “to disrupt and democratize the world of education by enabling anyone to teach and learn online”, has put together an infographic that better explains the roles of the 13 people it takes to make the startup machine run. I particularly like that they are all depicted as some sea creature with either razor-sharp teeth or lots of tentacles. I find the scientific names for each member of the ecosystem rather accurate. I particularly like, “Tech Blogger”, scientific name: “Technologicalium Knowitallicus”. “The startup waters are murky and full of hidden dangers. Below the surface, the ecosystem rests in a delicate balance between predators and prey,” says Udemy. So to help you navigate the stormy seas, take a gander at the infographic below. The captain of the Costa Concordia, the liner which capsized off the coast of Italy last month killing at least 25 people, made a series of errors that were compounded by failures onshore by the ship's operators, according to prosecution documents. 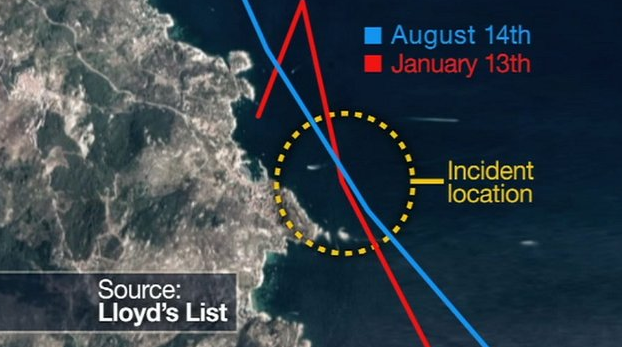 The shipping journal Lloyd's List Intelligence put out a statement that said the route Schettino steered, which ship owner Costa says was a deviation, kept the ship 500 meters from shore, while "the previously approved route took the vessel far closer to shore than the 500 meters claimed by Costa." Prosecutors accuse captain Francesco Schettino of causing the accident by bringing the giant vessel too close to shore where it struck a rock that tore a large gash in the hull, causing water to flood into the engine rooms. He is under formal investigation in the case, accused of multiple manslaughter and abandoning ship before the evacuation of more than 4,200 passengers and crew was complete. On Thursday, prosecutors added two new counts to the charge sheet, accusing Schettino of abandoning incapacitated passengers and failing to inform maritime authorities. Officials confirmed that tests showed he was not on drugs at the time of the accident. First officer Ciro Ambrosio and seven other ship's officers and executives of the operator Costa Cruises are also under investigation. They include the vice president of Costa Cruises, Manfred Ursprunger and Roberto Ferrarini, head of the company's crisis unit, with whom Schettino was in contact during the evacuation. 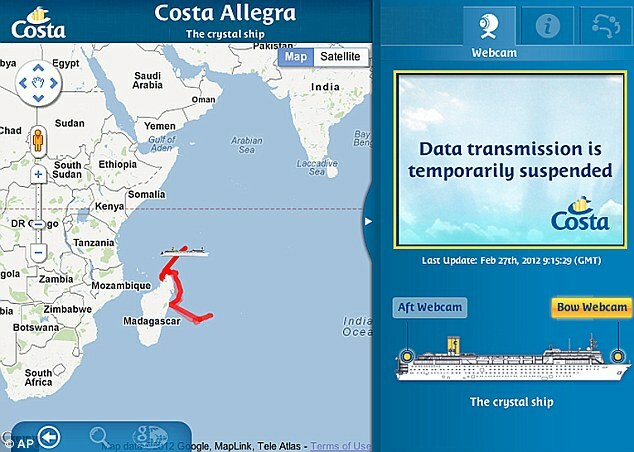 Pretrial hearings, including an investigation of the ship's "black box" recorders, are due to open on March 3. The Costa Concordia foundered and capsized meters from the shore off the Tuscan island of Giglio on Jan. 13. At least 25 people died in the accident and a further seven are unaccounted for. Eight bodies, including that of a five year-old girl, were found by divers on Wednesday on the submerged deck of the liner, which lies on its side in some 20 meters of water. Schettino is blamed for bringing the ship near to the rocky shore in order to perform a display maneuver known as a "salute," but prosecutors have also pointed to wider failures in the management of the accident. In documents filed on Wednesday notifying Schettino of the impending investigation, prosecutors say Schettino slowed the ship down while he was having dinner on the night of the accident, then sped up to 16 knots to make up time, despite being in shallow water. They also say his nautical charts were not appropriate and not detailed enough to reveal obstacles including the rock on which the fatal impact occurred. 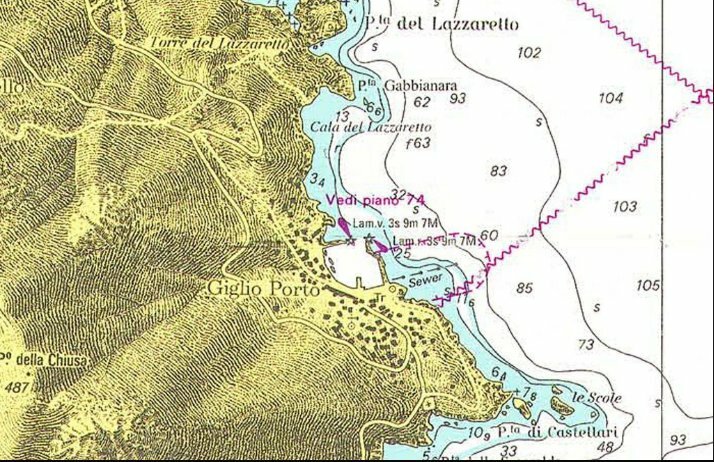 The report also points to the large number of people in the bridge area at the time of the accident, including Domnica Cermotan, a friend of Schettino's. They say this "generated confusion and distraction for the captain." It says he failed to perform appropriate maneuvers to avoid the collision, did not activate procedures to seal the ship, and did not take charge of the crew during the operation. He also took too much time to sound the general alarm and order the evacuation of the ship. The prosecutors also blame Costa's crisis unit of being "culpably unaware of the real situation on board the ship" and of falling to properly verify the information provided to it by Schettino. The unit limited itself to "bureaucratic aspects...and to the future prospects of repairing the ship," the report said. As well as the official investigation, Costa and its parent company Carnival Corp, the world's largest cruise operator, face a wave of civil suits from the victims' families and from passengers and crewmembers aboard the ship. 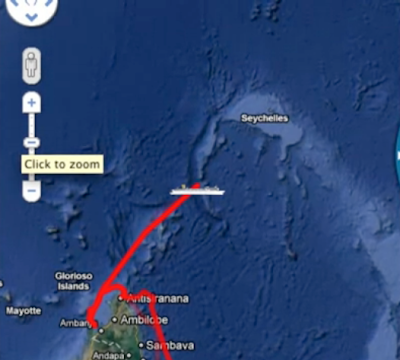 Stretching for more than 2,500km (1,500 miles), the Mariana Trench is a very narrow, very deep crack in the ocean floor. At its deepest, it reaches nearly 11km (seven miles) down - making it the lowest point in our oceans. Don Walsh and Jacques Piccard wave after surfacing from their dive to the bottom of the Mariana Trench, the worlds deepest spot. The mission, in 1960, was the first--and only--manned dive to the bottom of the trench. Once, its record-breaking depth was thought to be the only interesting thing about the trench, but now scientists are beginning to think otherwise. Jim Gardner, from the US Centre for Coastal and Ocean Mapping (CCOM), says: "Trenches are becoming much more focused in the scientific community." 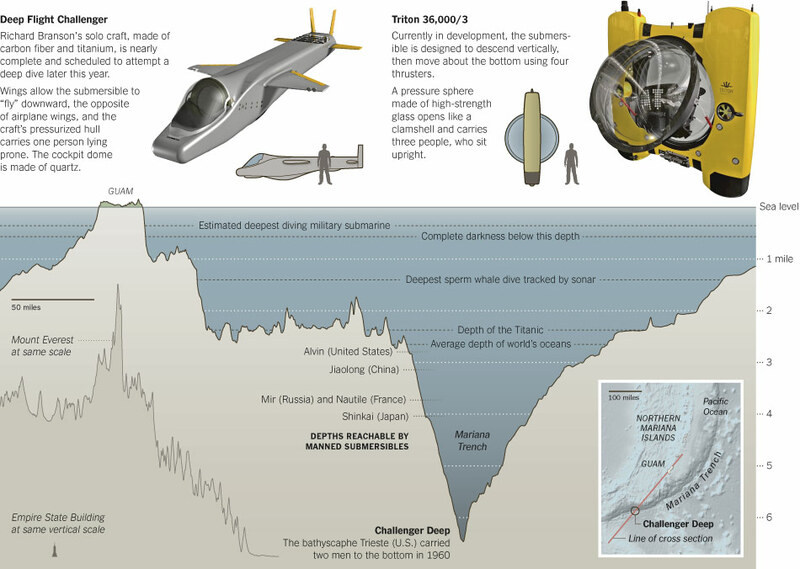 The geologist has spent the past five years creating the most detailed survey of the Mariana Trench to date. And he says that finding out more about the inner workings of these deep-sea spots is vital. There are more than 20 trenches like the Mariana around the world, but most are in the Pacific Ocean. They are formed at the boundary of two tectonic plates, where very heavy oceanic crust (in the case of the Mariana Trench, the Pacific Plate) dives underneath lighter continental plate - a process called subduction. But geologists now think these seismically active zones could play a central role in some earthquakes. Dr Gardner explains: "It's where the two tectonic plates are grinding together. "So seamounts (underwater mountains) that rest passively on the top of the Pacific Plate get jammed underneath in the trench or scraped up on the inner wall. "And if they get jammed underneath, some theories suggest that they cause the big major earthquakes, like the recent ones in Japan or Indonesia." 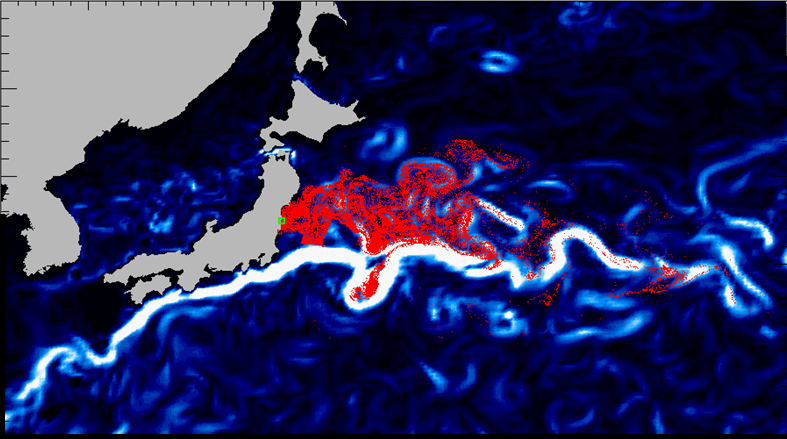 Biologists are also shedding light on the deep ocean. Dr Alan Jamieson, from Oceanlab at the University of Aberdeen, has been using simple contraptions to explore the bottoms of trenches. He uses steel, tripod-shaped landers that are kitted out with cameras and then loads them up with some bait. They then drop to to the bottom of the ocean, where they sit for hours recording any creatures tempted by an easy meal. "When we started this, we thought that anything we did find would be in relatively low numbers, probably pale in colour and just trying to eke out an existence in the deep," says Dr Jamieson. 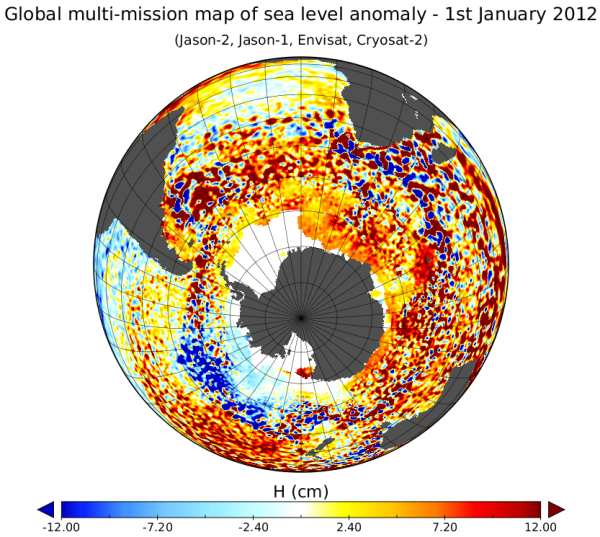 "But we have found lots of activity even at the very deepest sites." 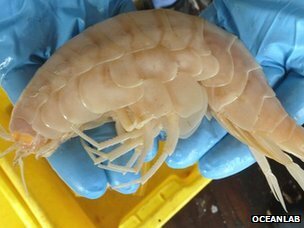 With this set up, he has been able to record a remarkable array of life, from amphipods - prawn-like creatures that can reach more than 30cm (12in) long - to bright pink, gelatinous fish. He is now studying the physiology of these creatures to find out how they can survive in a place where the pressure is 1,000 times greater than at sea level, the temperature is just above 0°C, and they are shrouded in total darkness. But if the life that is found in the deep is of interest, so is what happens as it dies. As the organic matter from dead marine flora and fauna sinks to the bottom of the sea, it is hemmed in by the steep walls of the trench. A study published last year found that because of this, more carbon accumulates at the bottom of trenches than in other parts of the ocean. 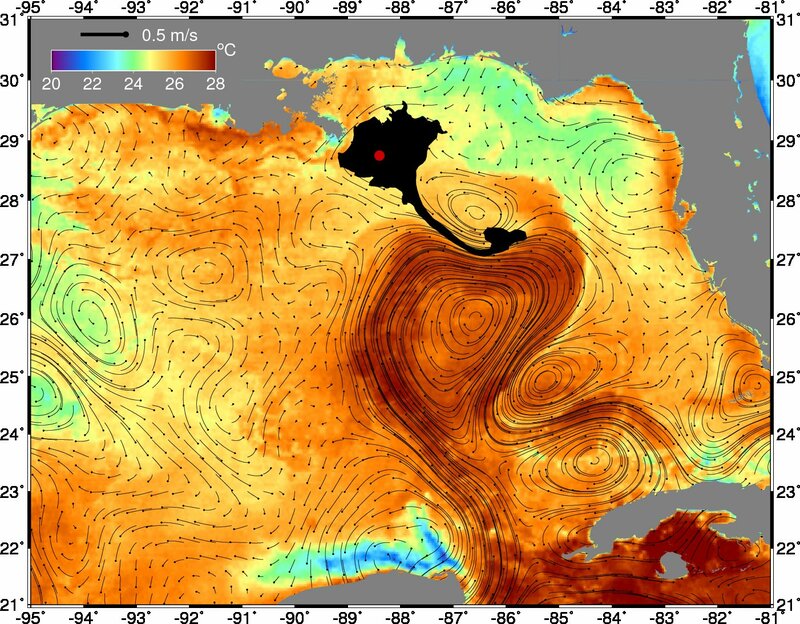 And this suggests that the deep sea might play a bigger role in the carbon cycle, and therefore in regulating the Earth's climate, than was previously thought. Researchers are now trying to find out how much carbon is sinking - or being "subducted" - beneath the sediment and how much is being recycled by bacteria to assess how much carbon is being taken out of the atmosphere. But although scientists are starting to unlock the secrets of the deep, oceanographer Sylvia Earle says there is still much work to do. "I'm sad to say that here we are at the beginning of the 21st Century, and we know more about other parts of the Solar System than we do our own ocean. "We have better maps of the Moon, Mars and Jupiter than we do about our own ocean floor," she says. She believes the very deepest parts of the ocean have been the most neglected. Most of the sea floor lies between 4,000m and 6,000m (13,000-20,000ft) below sea level: a layer known as the abyssal zone. But trenches, although few in number, are twice as deep, and they occupy an area called the Hadal Zone. She says: "That last little bit only accounts for maybe 3% of the ocean. Well think about it - that's an area the size of Australia, North America, or China - and we're ignoring it?" Dr Earle is the former science chief for the National Oceanic and Atmospheric Administration - or Noaa - the ocean's equivalent of the US space agency, Nasa. But she is frustrated that the seas have always been the poor relation to space. She explains: "A fraction of what we invest in going skyward would answer some major questions about this part of the Solar System." There is currently some debate within the scientific community over the best way to explore the deepest parts of the ocean. Some researchers, such as Dr Earle, believe that manned missions like the ones that are about to dive down to the Mariana Trench are the only way to really get a grasp of what lies in this underwater world. Others though say that landers and a new breed of autonomous underwater robots, such as Nereus at the Woods Hole Institute for Oceanography in Massachusetts, can bring back much more data. Dr Jamieson thinks unmanned exploration is the way forward for science. But he does hope that the publicity surrounding the forthcoming dives might generate some excitement and interest in the oceans. He says: "Any kind of high-profile event would be fantastic, we hope this will raise the profile of the trenches. "The trenches have always suffered from this kind of anthropocentric opinion: that the further away it is from human activity it is the less important it is, that it's just some kind of deep, dark realm that could be ignored. He adds: "But the fact is, the more we look at it, the more we find the trenches are just as relevant as anywhere else in the ocean. "And ultimately, ocean conservation is everything, from the surface to the very deepest point." The Global Partnership for Oceans is a growing alliance of governments, international organizations, civil society groups, and private sector interests that will mobilize knowledge and financial resources to address threats to ocean health, resilience and productivity. A new partnership to raise $1.5bn (£633m) for the world's oceans, double marine protected areas and rebuild fish stocks was launched on Friday by the World Bank. The Global Partnership for Oceans, a coalition of governments, NGOs, scientists and businesses, is a political boost for the world's overfished, heavily polluted and increasingly warming oceans. More controversially it proposes the expansion of aquaculture (farmed fish) to provide two-thirds of the world's fish, up from half today, to alleviate pressure on wild fish as a growing human population increasingly looks to the sea for protein. Unveiling the plan, the World Bank president, Robert Zoellick, warned that marine ecosystems, which cover more than 70% of the surface of the planet, have deteriorated to a perilous level. "The world's oceans are in danger, and the enormity of the challenge is bigger than one country or organisation. We need co-ordinated global action to restore our oceans to health," he told the Economist's World Ocean Summit in Singapore. The alliance brings together many nations and organisations that are already attempting to alleviate what is, after the climate, the ultimate "tragedy of the commons" – the running down of resources that are largely owned by no one, exploited by anyone and woefully unregulated. Among the confirmed backers are small island states, many leading conservation organisations – including Conservation International, WWF, the Nature Conservancy, and business groups commited to sustainable practices. The World Bank is also in discussion with with other potential supporters, including the Prince's Trust and the governments of Australia, Monaco, New Zealand, and Norway. But the success or failure of the partnership is likely to be determined by its ability to find funding and reach out to leading economies in Europe, North American and big developing nations, such as China, India, Indonesia and Brazil, where increasingly affluent and large populations are looking to the oceans for more protein, energy and minerals. Many are reluctant to accept protection measures that might constrain opportunities to exploit these resources. Zoellick – who is approaching the end of his tenure at the World Bank – says the first step is promoting greater awareness of the value of oceans – for example, in absorbing carbon dioxide and regulating weather patterns – and then helping governments to incorporate this in their policies. "Oceans are the home of an under-recognised and underappreciated 'blue economy'," he said. But he still needs to find the money to push this initiative. The partnership is committed to mobilising at least $300m in catalytic finance and aims to use that to leverage another $1.2bn from businesses, NGOs and other institutions. It was one of humankind's most epic quests - a technical problem so complex that it challenged the best minds of its time; a problem so important that the nation that solved it would rule the economy of the world. This film is both a celebration of Harrison's invention and an adventure story. An expedition on a period sailing vessel as it journeys to the open ocean will demonstrate the life and death importance of finding your longitude at sea. 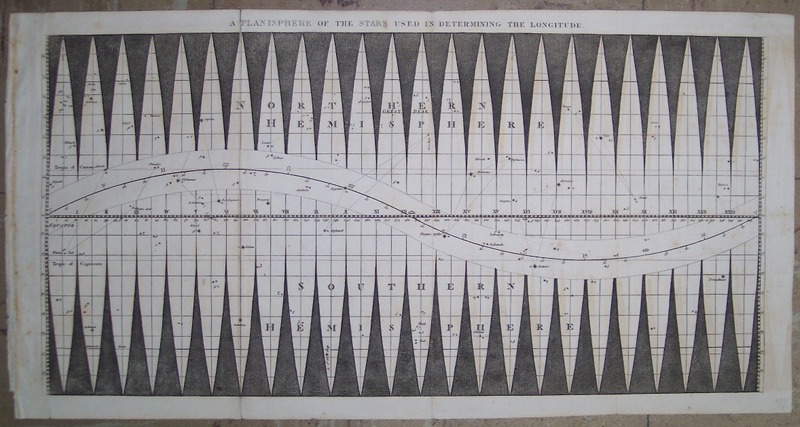 Before global positioning systems, modern map making even before America was America the concept of longitude was just a dream. Without its guidance, navigation in the 1700s was both unpredictable and deadly...until one man solved the mystery. With no formal education, John Harrison used his boundless imagination to overcome a world of skepticism and best the world s greatest thinkers. 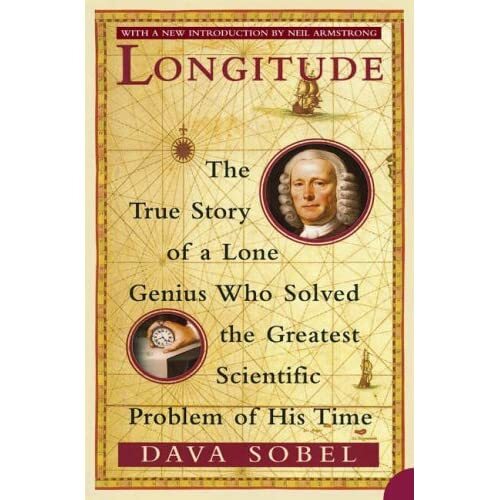 Discovering that the secret to navigation lay not just in the stars, but in mastering the power of time, Harrison made longitude as predictable as the sunrise. And, although it took him 58 years, Harrison finally won £20,000 (worth millions in today s dollars) and the overdue recognition as the Father of Longitude. Now, expert insights and fascinating details reveal the measure of one man's amazing impact.